A few months to the 2019 general election, disorderly parliamentary conduct, a prelude to violence, is plaguing state legislative assemblies across the country. These ugly rehearsals executed by unruly lawmakers in a number of states gripped Akwa Ibom State last week. In an offensive aimed at entrenching anarchy in the oil-rich state, a group of five legislators, in blatant breach of the rules, moved to overthrow the leadership of the state’s House of Assembly and, perhaps, also remove the governor, Udom Emmanuel. The crisis degenerated swiftly into condemnable violence. All those involved should be brought to book to deter the trend. 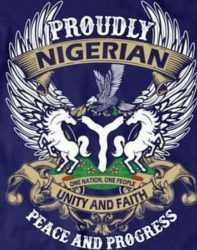 Indeed, the violence in Akwa Ibom strongly suggests that Nigeria’s democracy is still wobbly nearly 20 years into the Fourth Republic. The state became restive shortly after its immediate past governor, Godswill Akpabio (now a serving senator), defected from the Peoples Democratic Party to the All Progressives Congress in August. Before long, five PDP lawmakers in the assembly equally defected to the APC. It seemed this was just normal pre-general election politics of securing return tickets, but it was deeper than that. In the storm that ensued, the 19 majority PDP lawmakers suspended their five insurgent colleagues, following which the police sealed the assembly. It is reckless for the police to have done so; it is even unnecessary since there was no court order to that effect. In his defence, the Commissioner of Police in the state, Musa Kimo, stated that this was done to protect lives and property. This sounds hollow. Similar precipitate actions in the Western Region parliament in May 1962 eventually truncated the First Republic in 1966. By now, politicians ought to have learnt some lessons from that regrettable episode. To show that they have not, the five APC lawmakers stormed the Akwa Ibom House of Assembly on November 27 in an apparent bid to oust the Speaker, Onofiok Luke, and the governor, who has been having a running battle with the federal authorities since Akpabio, described as his “godfather,” moved to the APC. 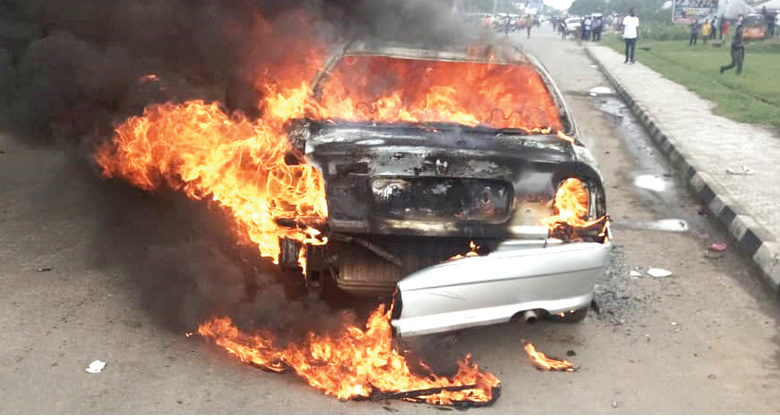 Gunshots rent the air and rival thugs torched a car reportedly belonging to an APC lawmaker. This is not just legislative rascality but pure criminality. The action of the five lawmakers is anathema. Going by the 1999 Constitution, only two-thirds of the parliament (or at least 16 members of the Akwa Ibom HoA), can impeach the speaker. The process of impeaching a governor, laid down in Section 188, is even more cumbersome. Despite all this, the trend of minority groups of lawmakers trying to impeach the leadership headed by the majority has resurfaced across the country. This is a threat to the stability of our democracy. However, a sign that these shenanigans deserve holistic action is that some other state assemblies have witnessed similar tumult or are currently in the vortex of such. In July, soon after Governor Samuel Ortom defected from the APC back to the PDP, a group of seven minority lawmakers served him a notice of impeachment. On the pretext of maintaining law and order, the police closed down the Benue State assembly. Curiously, during this shut-out, the minority group was able to sit to orchestrate the impeachment of the governor. This is unacceptable. Often, democracy works by the higher number. Yet, nothing has been done to bring any of these lawmakers to justice. The situation is as chaotic in Anambra and Ondo assemblies. Within the past month, the Anambra assembly has been unable to sit as and when due because it has broken into two factions, with two different speakers. Citing imminent breakdown of the law, the police shut it down on November 15. In Ondo, the assembly also splintered into two factions, with George Olamide and Bimbo Faloju replacing Bamidele Oloyelogun and Ogundeji Iroju as speaker and deputy speaker respectively in a new arrangement that has disrupted legislative activities in the state. The faction that masterminded the impeachment, however, relocated to Ibadan, Oyo State, claiming that their lives were being threatened. Abruptly, the state legislators in Kano impeached their leadership in July after the speaker, Abdullahi Ata, and two other principal officers were accused of corruption. This is suspicious. If true, the offenders should be subjected to police or the Economic and Financial Crimes Commission investigation. The practice elsewhere is to allow the law to take its course. Such was the case in the United States Congress in 1856 when Preston Brooks (Democrat) severely beat up Charles Sumner (Republican) after the latter ridiculed his colleague’s physically handicapped relative on the Senate floor. Brooks was tried in court and fined $300 for his unparliamentary conduct, Congressional records state. Therefore, the law, and not the police, should be the arbiter when fracas erupts in any state – or even federal – legislative house. For, failure to prosecute offenders emboldens other legislators to behave similarly vilely. True, in November, the Inspector-General of Police, Ibrahim Idris, warned the CPs in the 36 states (and the FCT) and other senior officers against partisanship in the run-up to the 2019 elections. Today, the wild occurrences in different state assemblies suggest that they are not abiding by that directive. Idris should act decisively. As a matter of fact, the police create the impression of partisanship, especially in states in which the opposition parties are in government. This is unlike the prompt action of the then acting President, Yemi Osinbajo, who sacked Lawal Daura as the director-general of the State Security Service, after his officers invaded the National Assembly in August. Therefore, to curb the appetite of the political class to derail the system, the IG should enforce the rule he has laid down. Idris should examine critically the roles of his officers in the troubled states. Next PostNext Has Nigeria’s President Muhammadu Buhari honoured his promises?